​Abbi Hickman and her family wanted another cat to add to their house full of chickens, dogs, guinea pigs, and a rabbit. So they went to their local animal shelter in Tracy, California. But nine-year-old Abbi didn't like what she saw. "It looked really weird and gross, and it smelled really bad [because] it was right next to a sewage treatment [plant]," says Abbi, now 12. 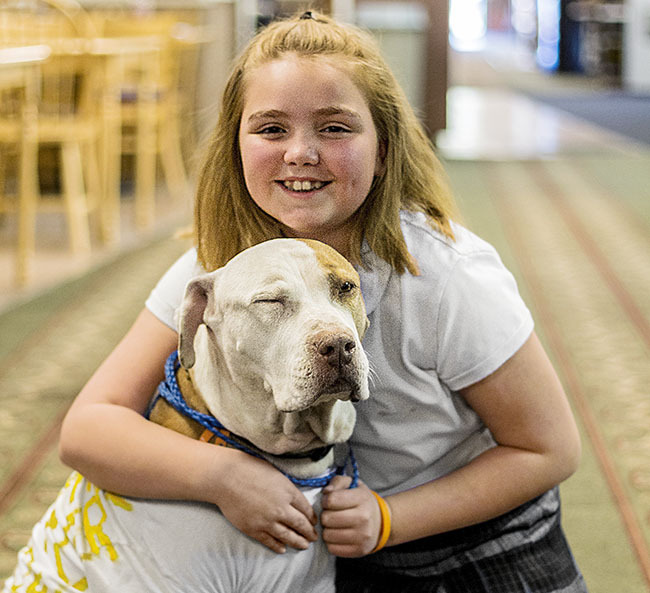 She thought that the animals deserved a better place to live, so she combined her love of pets with her love of bowling to help the shelter. Abbi's charity, Abbi's Pins for Pets, has raised more than $30,000 over the last three years through a series of tournaments. The competitions, for bowlers of all levels, feature lots of food and other fun, such as a raffle and silent auction, a DJ, and a clown. Plus, they give Abbi a chance to show off her serious bowling skills — she has a high score of 234 out of 300 — in front of around 500 spectators, including friends from school. Thanks in part to the money the events have raised, the Tracy Animal Shelter is in a new location, is cleaner, and has more open space. And with Pins for Pets now in its fourth year, Abbi hopes to continue making a difference in the lives of animals. "Anything is possible," Abbi says about giving back. "You can do one small thing and it can make a huge impact on the community."